Do you like Boss Level Shootout? Share it with your friends. 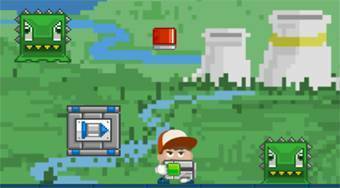 Boss Level Shootout - move around the game field, jump over obstacles, collect rockets and dispose of the boss shooting him down from the sky.